Have you got what it takes? This is not some blunt boring app written by geeks. This is the only Pilot Aptitude App written by Pilots for Pilots from those who have been there, done that and then taught it. 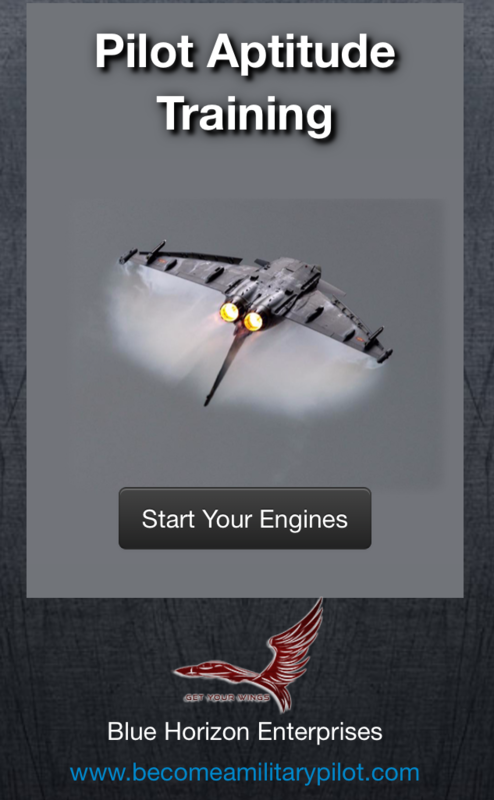 This app will give you the combat edge by giving you plenty of practice attempting typical aircrew battery and aptitude tests, with the ability to record your scores. Packed full of challenges that you will face, including typical reasoning, psychology and interview questions, our app also features 3-D spatial orientation testing, timed cockpit instrument interpretation exercises and also a “tilted ball” coordination exercise. For the first time, everything that you need to pass aircrew recruiting is right here…..good luck!